Should you wish to inquire further, please do not hesitate to contact us at (604) 852-5110 or send us an email at reception@johnconroy.com. 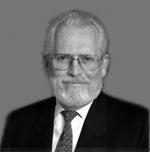 John W. Conroy QC has been practicing law since 1972. He was appointed Queens Counsel in 1996. He practices primarily as a criminal defence lawyer as well as in related constitutional, administrative and other civil matters. In 2014 he was awarded the BC Civil Liberties Association Liberty Award for 2014 for his excellence in legal advocacy and in 2016 he was awarded the Ed McIsaac Human Rights in Corrections Award. He has appeared in the courts at all levels including several appearances before the Supreme Court of Canada. Notable cases and clients have included the Steinhauser Hostage taking at the BC Pen (1977), the Squamish 5, (1983), Renee Boje, Marc Emery, Michelle Rainey, Watermelon, Philippe Lucas, Ken Hayes and Randy Caine. He is also counsel to the BC Compassion Club Society, the Vancouver Island Compassion Club Society and the West Coast Prison Justice Society (that runs BC Prisoners legal Services). He has acted in numerous cannabis and other drug cases as well as a wide variety of criminal and prison law matters and test cases. He is on the Board of the Pivot Legal Society and is counsel to VANDU in its efforts to keep open the safe injection facility Insite. He is also the founding President of Norml Canada since 1976 and is the only Canadian member of the Norml Legal Committee in the USA.